How good is Taurus at keeping secrets? Can You Confide In Taurus? Find Out Below!  Honesty is one of your life principles, which makes keeping secrets one of the hardest jobs for you, Taurus. But if someone confides in you, you will keep a lid on what you’ve been told. You prize privacy as high as honesty, this is why you will neither blab others’ secrets out nor share your own too eagerly. Whether it will be easy or too hard to keep someone else’s secret for you… well, that depends upon the secret itself. If it is a surprise party – you’ll be tight as a clam. But if you find out our friend’s spouse is cheating on them, the dilemma of whether you should step in and tell or keep quiet and let them sort it out on their own will keep you restless at night.